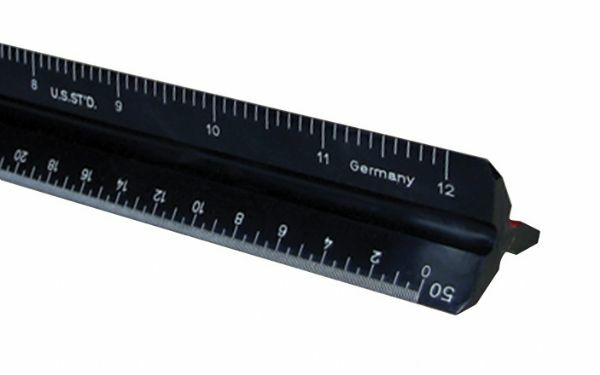 Professional-quality scales made from high-impact plastic with black non-reflecting matte faces and tapered edges. * Machine-engraved white graduations and color-coded furrows. * Supplied in hard plastic case. 13" x 1.25" x 0.25"